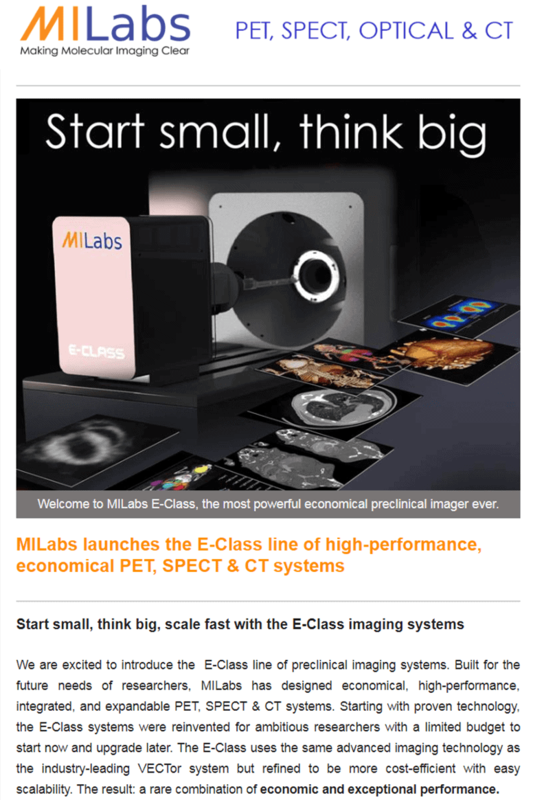 We are excited to introduce the E-Class line of preclinical imaging systems. Built for the future needs of researchers, MILabs has designed economical, high-performance, integrated, and expandable PET, SPECT & CT systems. Starting with proven technology, the E-Class systems were reinvented for ambitious researchers with a limited budget to start now and upgrade later. The E-Class uses the same advanced imaging technology as the industry-leading VECTor system but refined to be more cost-efficient with easy scalability. The result: a rare combination of economic and exceptional performance. 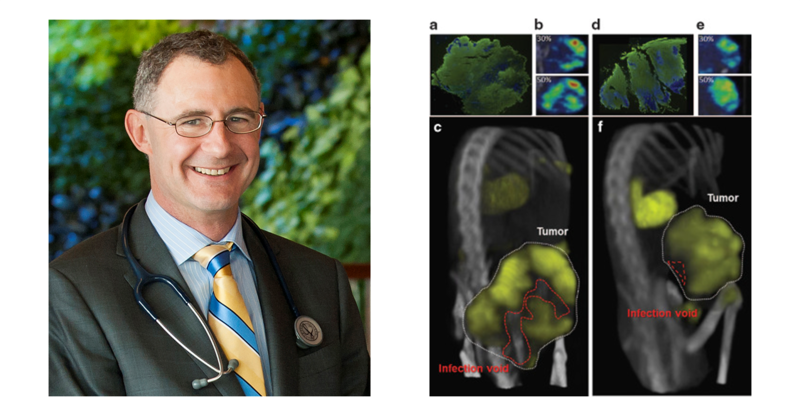 Economical: You can start small in preclinical imaging as long as your system enables you to do big things. 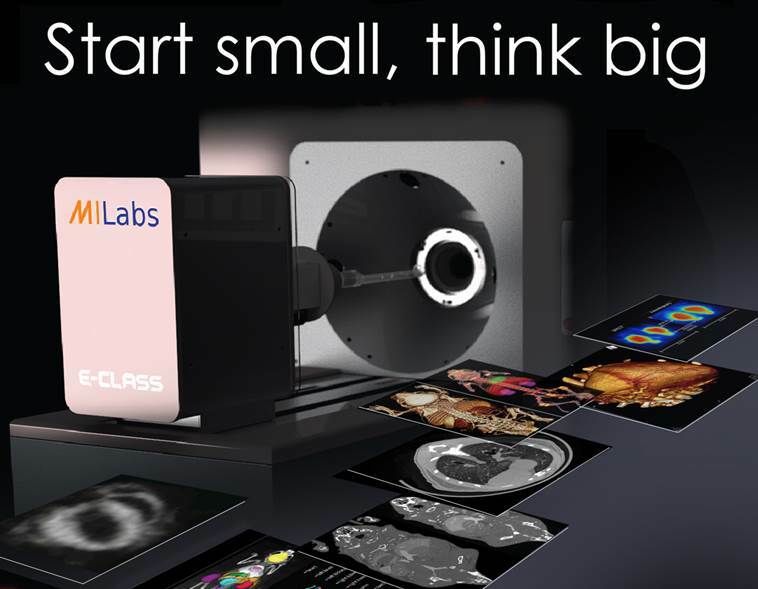 No matter what modality, PET, SPECT, Optical, or CT, your entry level MILabs E-class imaging system keeps costs low and image quality high. Exceptional: A combination of exceptional performance and outstanding utility with the same high-end specifications you have come to expect from a MILabs system: SPECT at sub-half-mm resolution, PET at sub-mm resolution, 2D and 3D bioluminescence and fluorescence, and ultra-fast X-ray CT at low dose levels. Expandable: Start small, think big, scale fast. Not by adding more imaging systems, but by upgrading your entry-level system to 4x4D omni-tomography: the most technologically advanced preclinical imager. No animal shuttling, but instead the grand fusion of tomographic modalities into a single gantry (“all in one”) for simultaneous data acquisition of numerous complementary features (“all at once”). Essential: With capabilities that enable more and new applications, every day. Now you can expand diagnostic and treatment applications beyond the capabilities of any other preclinical imaging system including single-pass simultaneous PET and SPECT, dynamic molecular CT acquisitions, Optical Tomography, and exclusive theranostic imaging with α and β radiotherapy nuclides. Evidence-based performance and application reach. Based on technology proven in over 100 global installations for preclinical applications documented in hundreds of scientific publications. Easy to use: Master acquisition and reconstruction in a single day.